Cindy Scheer, Executive Assistant for the N.W.P.I.D. announced today the completion of a new Industrial Building, available for sale or lease, in the N.W.P.I.D. Industrial Park near Springhill/Cullen, Louisiana. 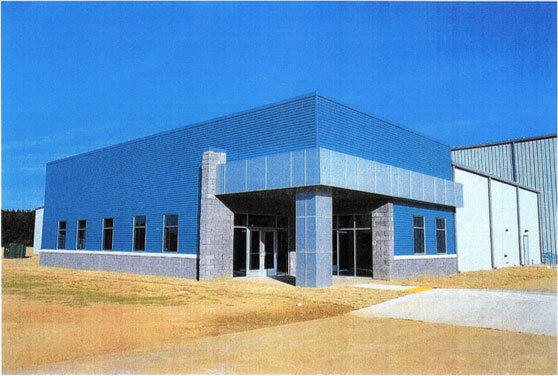 The 50,000 square foot building sits on 5.3 acres (additional land available) and is located in a fully developed industrial park with all utilities available. The building features loading bay, automatic doors, paved parking, 30 foot vertical clearance, flex space and a 4,260 square foot office shell for easy customizable floor plan. Close proximity to Rail, U.S. Highway 371, Interstate 20, I-49 and I-30. Our communities (Cotton Valley, Cullen, Sarepta, Shongaloo and Springhill) feature a qualified and productive workforce, low cost of living with pro-business progressive community leadership. According to Ms. Scheer, the N.W.P.I.D.’s main goal is to effectively market North Webster Parish and attract private investment that will create jobs for our citizens.